Website and processes: 12 Dec 16 Oliver, 5/5 Excellent "|very and efficient purchase. Thank you." You will be strapped into the cockpit.The glider is attached to a Robin Tug aircraft by way of a tow rope and on the giving the 'all out' signal the Tug will tow the glider to a height of 2,000ft. The tow is gentle with the glider mimicking the tow aircraft as it climbs smoothly to its release height the tug pilot searching for areas of thermal lift as he climbs. 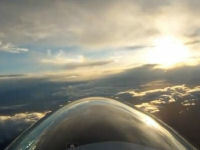 At release height the instructor will detach the glider and start searching for thermals. Duration 15/30 mins.